The Justice Department sued Standard & Poor's Ratings Services late Monday, alleging the firm ignored its own standards to rate mortgage bonds that imploded in the financial crisis and cost investors billions. The Justice Department and state prosecutors intend to file civil charges alleging wrongdoing by Standard & Poor's in its rating of mortgage bonds before the financial crisis erupted in 2008. WSJ's Justin Baer has exclusive details on The News Hub. Photo: Reuters. 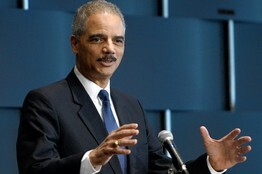 The civil charges by U.S. Attorney General Eric Holder against the New York company, one of the bond-rating industry's three giants, are the first federal enforcement action against a credit-rating firm over the crisis. Several state attorneys general are likely to join. 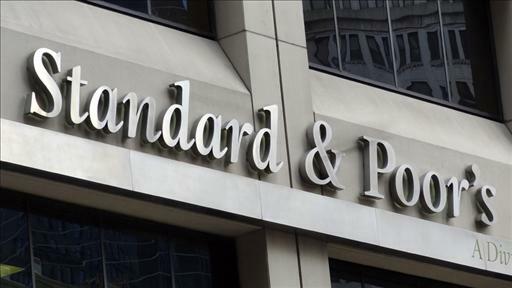 S&P said in a statement earlier Monday that the government suit would be "entirely without factual or legal merit," and denied wrongdoing. After The Wall Street Journal reported Monday afternoon that the government intended to launch the civil case, S&P confirmed the expected lawsuit and said the rating firm was being punished unfairly by the U.S. government for "failing to predict" the housing meltdown or financial crisis. The two sides have discussed a possible settlement for about four months, according to people close to the negotiations, but S&P balked over concerns that a deal could sink the company. The government was seeking penalties of more than $1 billion, another person close to the talks said, which would be the biggest sanction imposed on a firm related for its actions in the crisis. S&P officials also were rattled that the government was pushing the company to admit wrongdoing that could leave it more vulnerable to pending or new lawsuits by investors. For about three years, the government has been investigating whether S&P managers pushed to weaken company standards for rating mortgage-linked deals or ignored the standards entirely, people familiar with the probe said. S&P said Monday that it "would be wrong" to contend that its ratings were "motivated by commercial considerations and not issued in good faith." S&P said the government's allegations stem from S&P's rating of collateralized debt obligations, or CDOs, issued in 2007 that included bundles of subprime mortgages. The government is targeting about 30 of those deals, which plummeted in value soon after being sold to investors, a person familiar with the matter said. The suit alleges that S&P from September 2004 through October 2007 "knowingly and with the intent to defraud, devised, participated in, and executed a scheme to defraud investors in" CDOs and securities backed by residential mortgages. S&P "falsely represented that its credit ratings of RMBS and CDO tranches were objective, independent, uninfluenced by any conflicts of interest that might compromise S&P's analytical judgment, and represented S&P's true current opinion regarding the credit risks" of the securities, the lawsuit says. The firm's "desire for increased revenue and market share" led it to "downplay and disregard the true extent of the credit risks," the suit alleges. Shares of S&P's parent company, McGraw-Hill Cos., MHP -15.98% slid 14%, or $8.04, to $50.30 in New York Stock composite trading at 4 p.m. Monday, erasing $2.2 billion of stock-market value. Moody's Corp. MCO -11.93%sank 11%, or $5.90, to $49.45. A Moody's spokesman declined to comment. The federal agency has been accused by some lawmakers of failing to properly pursue and punish firms and executives at the center of the crisis that plunged the U.S. into recession. Neil Barofsky, the former inspector general for the Troubled Asset Relief Program, said the Justice Department move against S&P looked like an effort to get "some measure of accountability" for the financial crisis, which was "something that's been really lacking across the board." The lawsuit, filed in Los Angeles federal court, is the culmination of a government investigation that dates back to at least 2010, former S&P analysts have told the Journal. In 2011, S&P, Moody's and the Fitch Ratings unit of Fimalac SA FIM.FR -1.24%and Hearst Corp. were accused by a Senate committee of giving overly rosy ratings to CDOs and then causing an "economic earthquake" by downgrading hundreds of the bonds when the scale of the housing collapse became clear. S&P suggested Monday it was being unfairly singled out. The CDOs under scrutiny were given the same high ratings from an S&P rival, the firm said. S&P added that it faced charges for not predicting the full extent of the housing bust, "despite [the] failure of virtually everyone to do so." The Financial Crisis Inquiry Commission, set up by Congress to investigate the causes of the crisis, concluded two years ago that the top credit-ratings firms were "key enablers of the financial meltdown." Rating firms have said the crisis was caused by many factors. The Justice Department and other law-enforcement agencies have long been investigating whether the rating firms broke securities laws. The Securities and Exchange Commission in 2011 warned S&P that it intended to file civil charges over a CDO called Delphinus CDO 2007-01. But the SEC has taken no action in that case. The SEC was still investigating S&P but wasn't expected to join the Justice Department civil suit, according to a person familiar with the matter. The civil charges will test the legal argument used by S&P and other rating firms to defend against civil lawsuits filed by mortgage-bond investors who claim they were misled by the firms' ratings. S&P has said its ratings are opinions protected by the First Amendment, and judges have thrown out dozens of suits based on that argument. The Justice Department is expected to seek a way around this defense by suing S&P under the Financial Institutions Reform Recovery and Enforcement Act, a 1989 law passed following the savings-and-loan crisis that imposes a relatively low burden of proof. "The Justice Department appears to be using an end-run strategy of trying to bypass the substantial barriers to suing rating agencies by dusting off FIRREA," said Jeffrey Manns, a law professor at George Washington University. He added that a rating agency's First Amendment defense could be vulnerable if the firm was a party to alleged wrongdoing by other parties—for example, if S&P knew that information supplied by an investment bank to rate a mortgage bond was misleading. The S&P case relies, in part, on the Justice Department's view that the First Amendment wouldn't protect a ratings firm if it defrauded investors by ignoring its own standards, according to people close to the investigation. Illinois's attorney general in November won a circuit-court ruling to proceed with a lawsuit against S&P alleging that the firm misled investors by claiming its rating process was independent and objective. The argument, brought under state consumer protection laws, sought to skirt First Amendment protections by focusing on what the firm told investors about its rating process rather than actual ratings.